Start 2019 in your very own new condo! Check out this beautifully updated condo throughout. 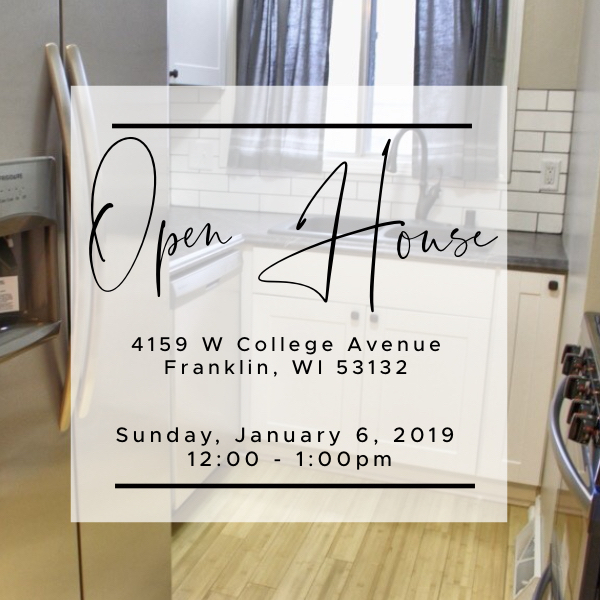 Stop by the first Open House on Sunday, January 6, 2019 from 12:00 -1:00pm located at 4159 W College Avenue in Franklin. Contact us for more information – fatherdaughterteam@kw.com or call/text 414-788-4046.